August 7, I was once again witness to kindness and the power of social media. I recently created a Facebook account, or rather, my bride graciously created an account for me at my request. I had withheld joining Facebook for the first 12 years of its existence. 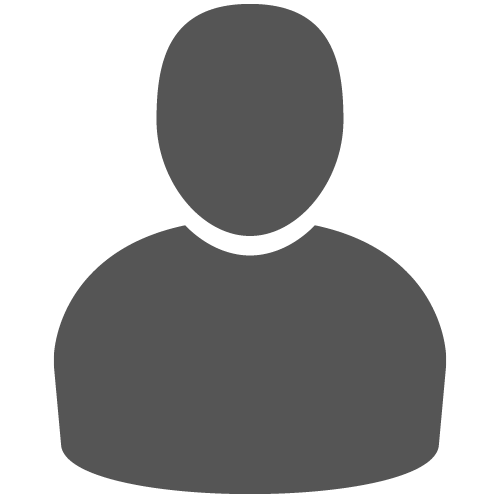 Yet, shortly after learning one of my posts had been picked up by The Good Men Project, the editors there encouraged me to join the writers group on, none other than, Facebook. Hence, my twelve year abstinence was broke in order to join that group. But this post isn’t about me or why I signed up, so back to yesterday. One of my friends, Karla, posted the photo in the header of this post. This is a memorial bracelet, designed by a member of the Marine platoon that shared deployment with her son Caleb. 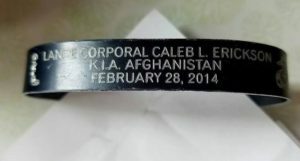 Caleb was killed in action while deployed in the Helmand Provence of Afghanistan on February 28, 2014. Each member of his 1-9 Marine team received one to wear in memory of their fallen brother. Scott Duggan, the manager of Gunther Toody’s a restaurant in Greenwood Village, Colorado, sent Karla the letter. They had found the bracelet and placed in a prominent location at the reception area in their establishment, hoping someone would come to claim it. No one did. However, in the last several days the restaurant also found a military challenge coin. On the back was the name of the Chief Master Sargent the coin belonged to. He was local, so it did not take Scott long to find a number and call him. When he arrived to claim his coin, he noticed the bracelet and Scott asked if he could help locate the person the bracelet belonged to. As it turns out, the Master Sargent was also the Deputy Director of Veterans Affairs for the state of Colorado. Sure enough, the next day the Deputy Director returned and gave Scott, Karla’s name and address. A few short days later, Karla received the letter above. While difficult to read, the letter opens with “My name is Scott Duggan, I am a manager at the restaurant that had your bracelet. First, I would like to thank you for your son’s sacrifice for this country and let you know that there are still people out in this world who appreciate what he did.” The letter goes on to describe the story I summarized above. Karla, shortly after receiving the letter, posted these pictures to Facebook, with a request to share and help find the Marine that wore it. Within in minutes it had been shared by dozens of people to their networks of thousands. Some shares and comments tagged specific people, including a few members of Caleb’s 1-9 team. The Marines that served alongside Caleb hold a special place in Karla’s heart. She had lost a son, yet her family grew. Less than three weeks ago, I was lamenting about whether to join Facebook. I thought it was just another distraction. Yet, as I watched this unfold yesterday, once again I was amazed at the reach and power of social media to do good. Scott Duggan & Michael Hunt this one’s for you. Thank you for the gift of kindness! The friend of a Gold Star Mother. 6 Signs that Things are Spinning Out of Control for Veterans.